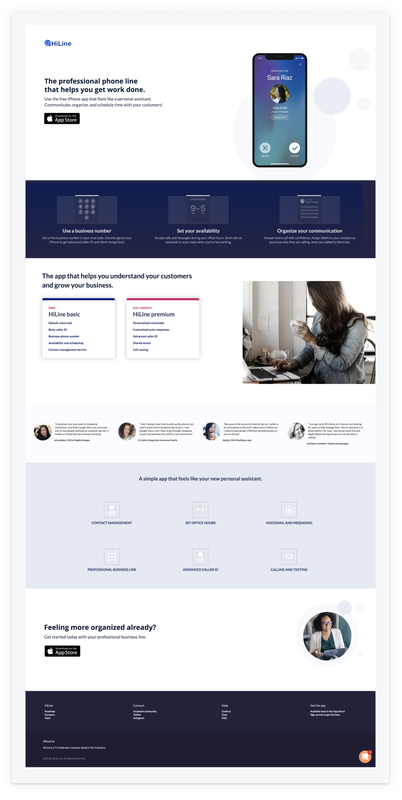 A professional business line for your small business. Customers can download the free iOS app that gives them access to a business phone number, messaging, office hour, and voicemail. Small business owners need a way to talk with their customers, but they don’t always want to give out their personal cell phone number. They need something professional and secure to stay in touch and appear online at all hours. 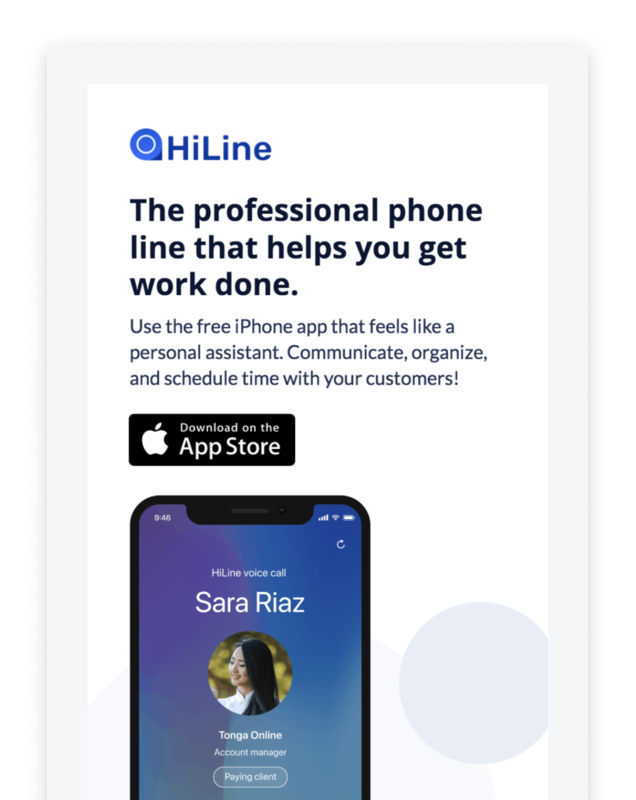 Hiline gives customers a business phone number as the main feature, which users can put on their website, business cards, and social media. They can set office hours for communication, and send customers to a professional voicemail or text messaging when they’re not around. The app is available on iOS. It functions just like a normal phone number, but it’s easy to tell who is a customer and who is a personal contact. I worked on the marketing site, iOS wireframes and UX, and user research.